Here’s one bow tie, you’ll never have to worry about tying! Two Guy’s Bow Ties recreated the classic bow tie look with a trendy twist. 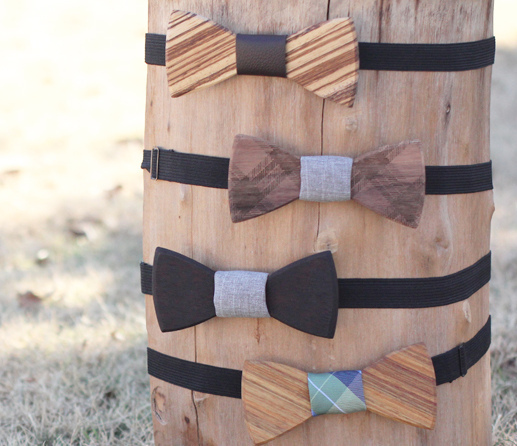 These bow ties are handcrafted from the highest quality wood, leather and fabric. The bow ties come in a variety of colors and styles; see more here.